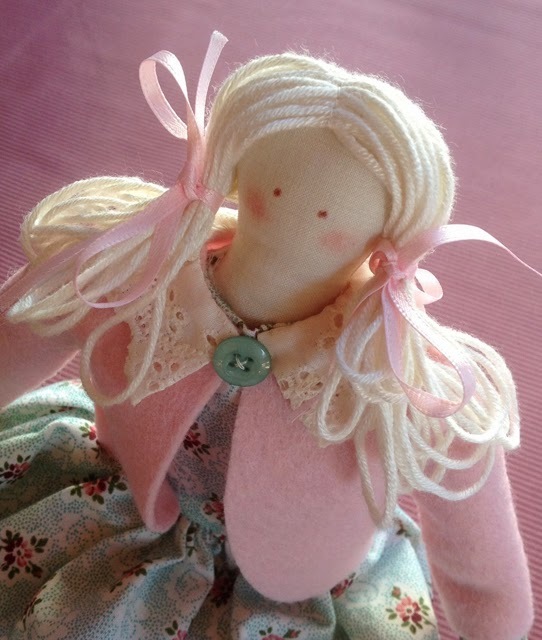 Do you have a special little girl to share this pretty cloth doll pdf pattern with? Let me introduce you. Her name is Miss Lucy Lou, the name my very own special little girl picked out for her. She is dressed in her best floral dress and little cropped felt jacket ready to go to town. Lucy Lou is a quick and easy cloth doll to make. Once you know a few tricks for making cloth dolls, the sky is the limit. The most important technique is the transferring of and sewing of the limbs. If you trace the limbs onto your fabric and then sew on the drawn line, the process is super easy. Another tip is to reduce your stitch length and choose a thread colour to match your fabric.This lightening of the stitches makes the seams stronger so that they withstand firm stuffing. If you have not made a cloth doll before, here is your chance. 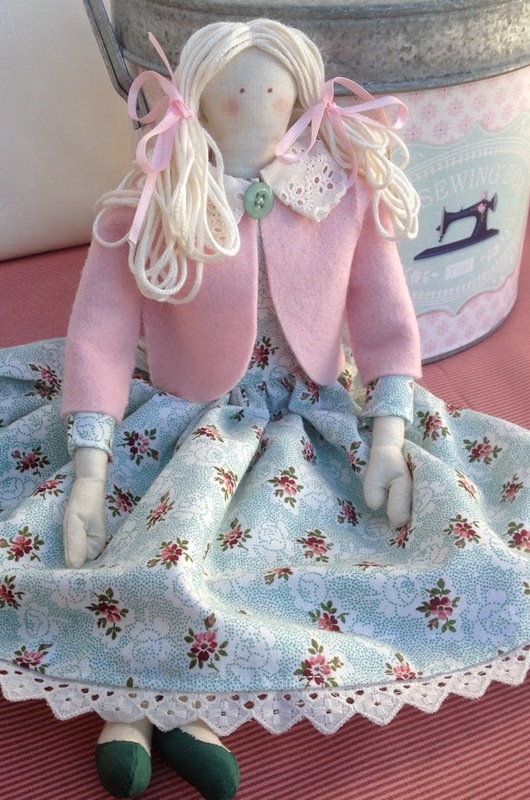 Miss Lucy Lou is available as a a PDF downloadable pattern which means you could be making her within minutes! She comes with easy step by step instructions and colour progress photographs to help you every step of the way. I am sure that she will bring a smile to a little girl, or be the perfect addition seated on a chair in your home. click here now to head over to the Stitching Cow website for more information about this cloth doll PDF pattern. Hope Miss Lucy Lou finds a place in your home too. She's really gorgeous! I think it's the highest level of creativity. It's such a detailed and scrupulous work, I should say. It deserves all the awards available. Thanks.